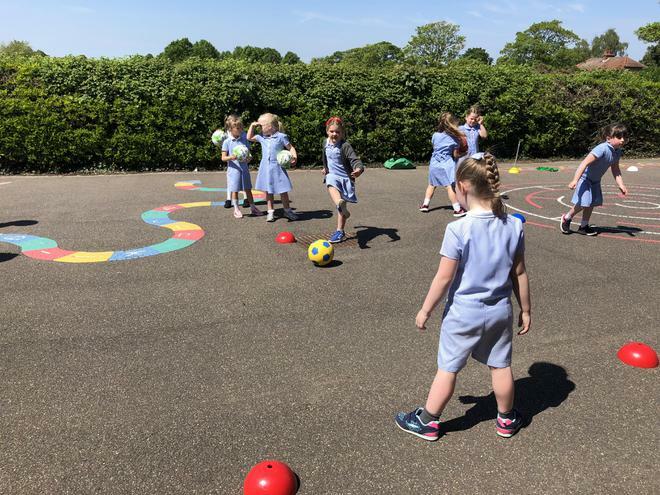 Girls Football is on a Tuesday lunchtime and is run by Miss Maclachlan. 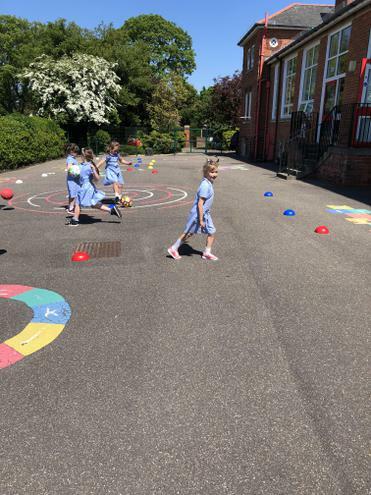 We have been very lucky with the weather so far this term and we have had the chance to take the club outside. 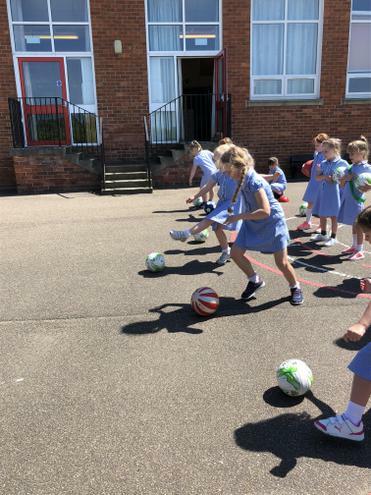 The girls will have the opportunity to practice and improve their dribbling, passing and shooting skills. 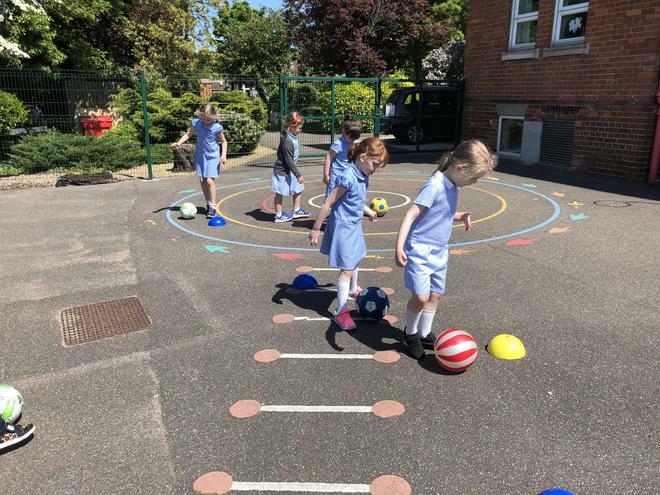 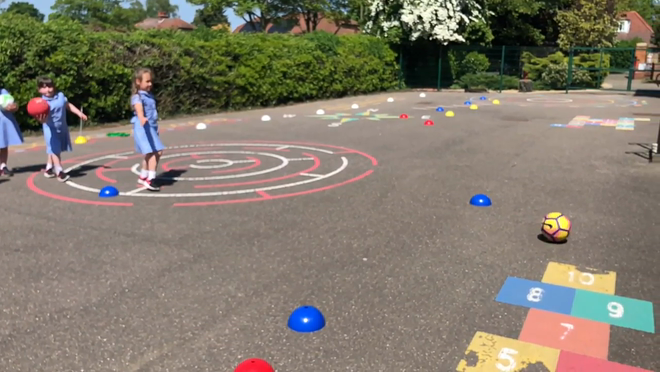 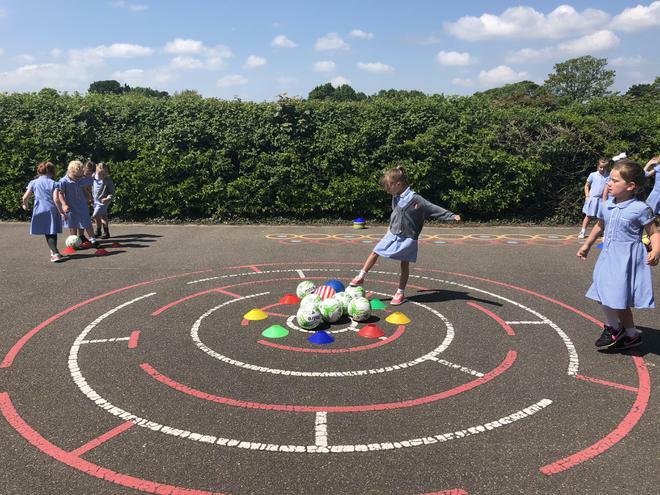 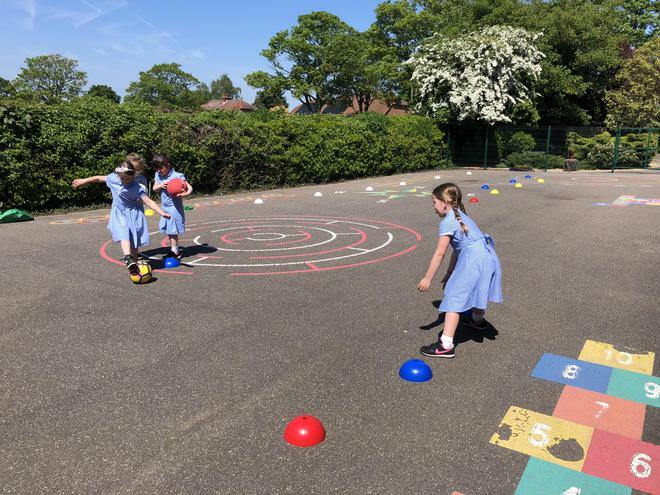 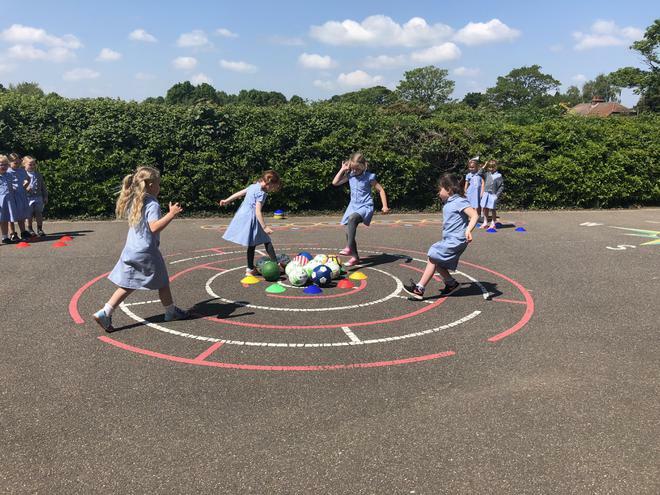 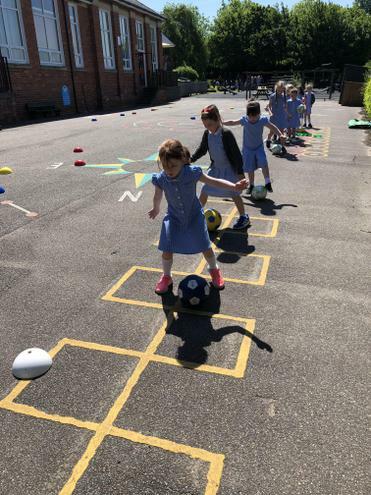 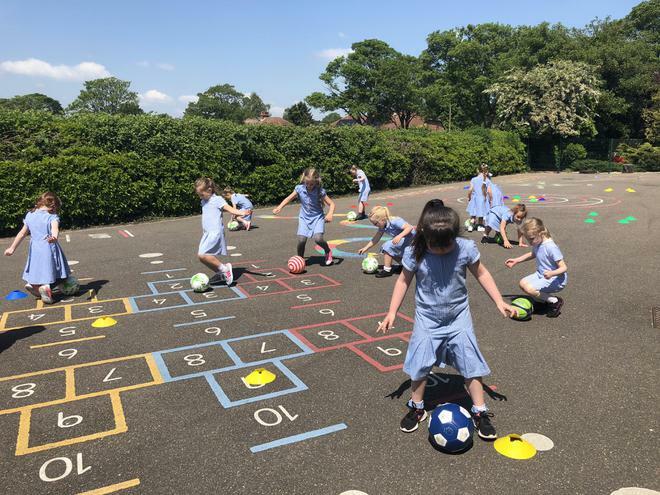 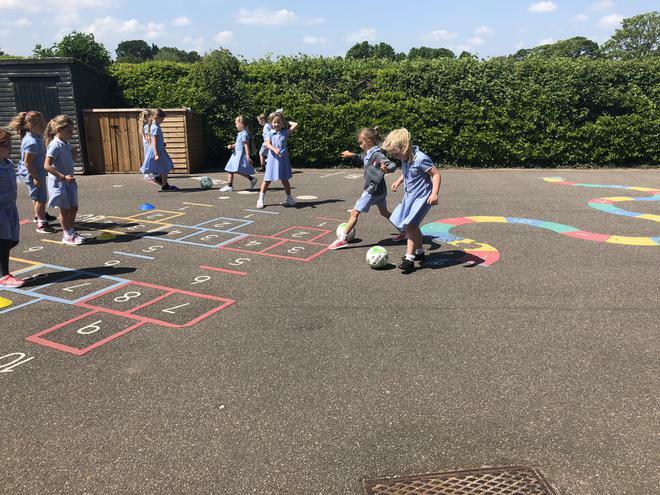 They have been working independently, as a team and in pairs to practice and have enjoyed learning ways to use their feet instead of their hands to control the ball. 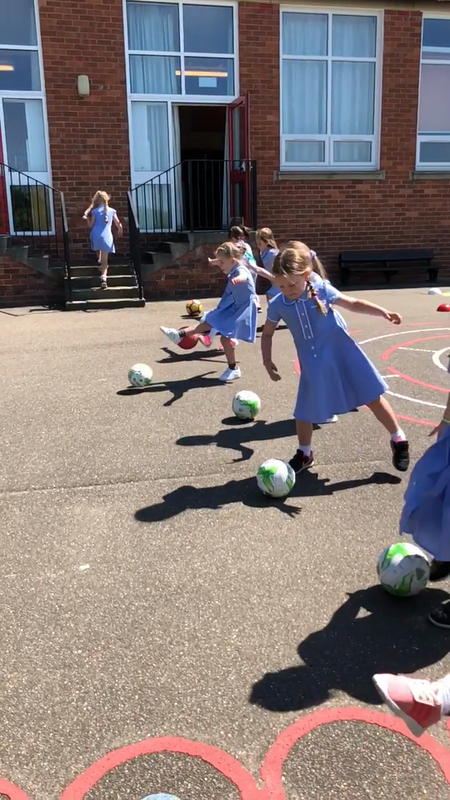 Some things are a bit tricky sometimes but the girls are growing in confidence and learning new strategies to help.